I am curious about the various romanizations of Jujutsu. Why do some schools spell it one way & why do others spell it another way? Is there 'one' correct way? Also, does anyone know when the term 'Jujutsu' began being used? I have read that 'Jujutsu' is just a generic name & that grappling arts of a Ryu are more properly called 'Yawara'. But, I don't really know. "Jujutsu" is the correct Romanization, according to the standardized Japanese systems for doing this (Romaji). "Jujitsu" is an older attempt at Romanization by the British, who tried to make it flow more with the English language. "Jiu Jitsu" is used by the Brazilians; I have no idea where it comes from. Jujutsu is just a generic term, but so is yawara-in fact, they are different pronounciations of the same kanji. A specific system would be designated as a "ryu" (Danzan ryu, for example). Judo was also spelled jiudo for the same reasons. I wonder, though, since jitsu has another meaning in japanese other than MA, if the kanji for this word alone is different when used in the context of another meaning. Judo was called jiu jitsu until probably 1947 or so, as the Kodokan system is made up partially of other schools (ryu) of jujutsu, hence called by some Kodokan ryu, Kano ryu, and Kano's jiu-jitsu in the west. Jiujitsu and jujitsu are listed in Webster's as acceptable English transliterations of the word. Indeed, I've had to adjust my spell-checker to accept the romanization jujutsu. In fact, the Webster's approved romanization is jujitsu or jujutsu, from Jp jújutsu; and the term apparently entered English in 1875. (Basil Hall Chamberlain, I'd guess.) So in 1958 Robert W. Smith in his sadly out-of-print "Complete Guide to Judo" wrote "Until World War II the art [judo] was known in the West by its former appelation, Jujitsu (or correctly, Jujutsu)." Gracie Jiu-Jitsu represents a Portuguese transliteration, and should be spelled that way AND capitalized because the name is a registered trademark. Also, as Carlos Gracie's first school opened in 1925, it is not surprising that he still called his mixture of Kodokan judo and circus challenge wrestling "Jiu-Jitsu"; after all, the Japanese Ministry of Education did not formally mandate that the proper term was judo rather than jujitsu until 1926, and of course changes like that take awhile to reach places like Brazil. In 1892 the Japan Society of London transliterated the term as Ju-jitsu. 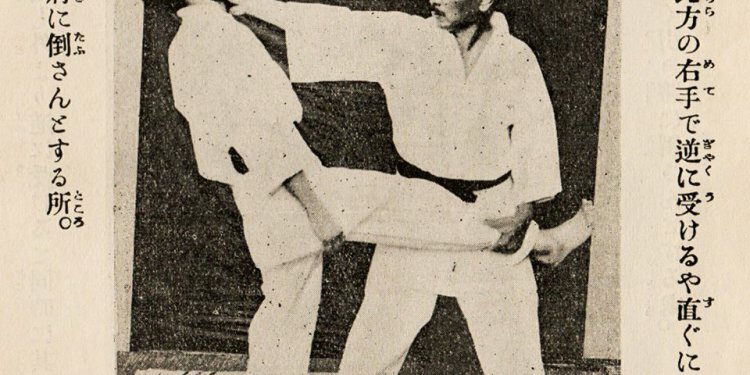 The author of the paper, T. Shidachi, noted that "Ju-jitsu is the name most commonly known in Japan for this art, but such names as Yawara, Taijitsu, Hakuda, Kogusoku, Torite and others are sometimes applied to similar arts." Shidachi also added that Kano-Ryu jujutsu was presently becoming better known as Kodokan Ju-do. And, said Shidachi, "Music may be played at times when it is required to keep time." "Though there were Buddhism and Shintoism, their practical influence was not great. On the contrary, they had scarcely any beneficial effect upon the ruling class of Japan." Kano, writing in December 1904, said that jujitsu [sic] was "best suited for purposes of bodily exercise." Judo, on the other hand, was equally suited for moral development.